We offer four different NexStaX™ solutions for your testing and development needs. These tools test and debug EtherNet/IP products, enable end-of-line and field testing, and serve as excellent demos for your end customer. In addition, these tools display J1939 parameter group number messages and confirm that a device is functioning properly to help with your troubleshooting process. 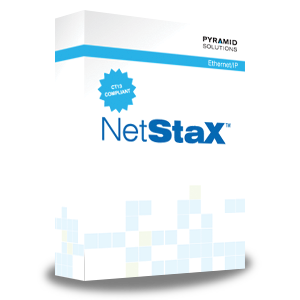 NetStaX CANable Lite is a highly valuable and inexpensive tool for applications that require J1939 connectivity. This tool eliminates days (and even weeks) of troubleshooting. NetStaX EIPScan is an extremely useful tool for testing and debugging EtherNet/IP products, end-of-line testing, field testing and demonstrating your EtherNet/IP products to end customers. Our NetStaX EtherNet/IP Device Interoperability Test Tool (EDITT) is a PC/Windows based software application that automates sections of the EtherNet/IP interoperability Plugfest Test Procedure. NetStaX MasterSim Lite is a highly valuable tool for applications that require Modbus RTU connectivity. This tool helps users save time and easily troubleshoot when integrating a solution.